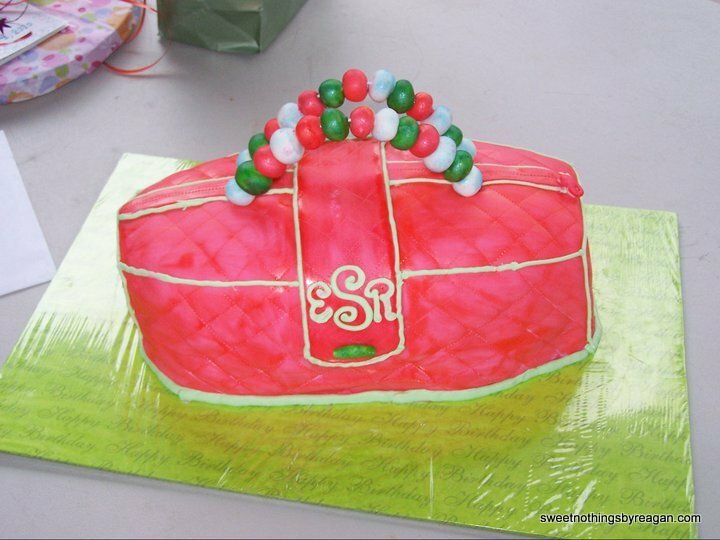 This hot pink embossed handbag with hand-rolled fondant beads was made for a lady who has been nicknamed “Sophia Patrillo” by family and friends….she carries her purse EVERYWHERE! A vibrant and young-at-heart gentle lady, her family and I decided that a bright purse adorned with her initials would take the cake! Posted in featuredTagged birthday, birthday cake, cake, fondant, lady, purse, sculpted cakeBookmark the permalink.